Roy's law practice focuses on litigation and transactional matters involving the purchase, sale, operation, titling, and financing of real estate and businesses, as well as licensing, employment, contract, commercial leasing issues, and service as an arbitrator. Mr. Kaufmann is counsel to Jackson & Campbell, P.C. and is a member of the Business, General Litigation and Trial, and Real Estate Practice Groups. His law practice focuses on litigation and transactional matters involving the purchase, sale, operation, titling, and financing of real estate and businesses, as well as licensing, employment, contract, and commercial leasing issues. He also serves in various fiduciary capacities as trustee for large trusts. Roy’s breadth of trial, appellate, and transaction experience in real estate, title, contract, and business matters has made him well-known in the legal and business communities. He is a frequent lecturer to The District of Columbia Bar and to real estate professionals on complex property and title issues. 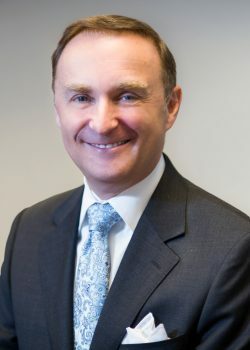 He serves as the lobbyist for the D.C. Land Title Association, the trade group representing title underwriters and agents in the District of Columbia; is a frequent commentator and drafter of legislation; and served as Chair of The District of Columbia Bar’s Real Estate, Housing, and Land Use Section. Roy serves as an arbitrator on the American Arbitration Association’s Large, Complex Case and Commercial Panels. Cases have included complex contract disputes where disputes exceed $20 million, construction and architect matters, corporate acquisitions, and real estate matters, title, fraud, and corporate governance disputes. Roy is admitted to practice before the U.S. District Court for the District of Columbia, District of Columbia Court of Appeals, U.S. Court of Appeals for the District of Columbia Circuit, and the U.S. Court of Appeals for the Armed Forces. Roy has earned an AV® rating from Martindale-Hubbell®, the highest recognition achievable for professional ability and ethics. Roy was also was selected as a Super Lawyer by Super Lawyers magazine for his work in Real Estate and Business (2012-2017). He was also selected as a 2019 Best Lawyer for his work in Real Estate law. Roy serves as the editor of the Firm’s Title and Real Estate Blog and Newsletter and has authored many of the articles therein. Wire Theft - Third Major Money Wiring Theft in DC Area. Stop, review your procedures and alert your staff today! Online Filing - Income and Expense Report DC and Building Permits.